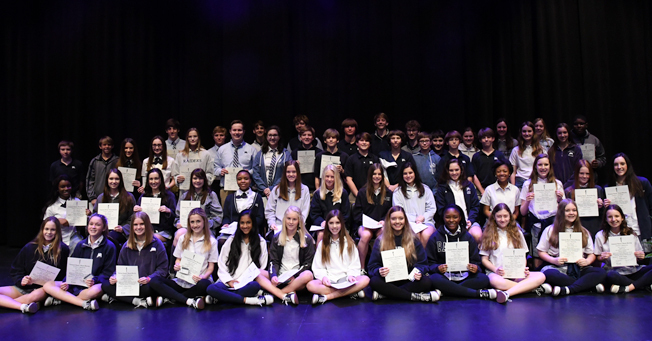 On Monday morning the Jackson Academy Chapter of the National Junior Honor Society inducted 13 new ninth grade members and 41 new eighth grade members. 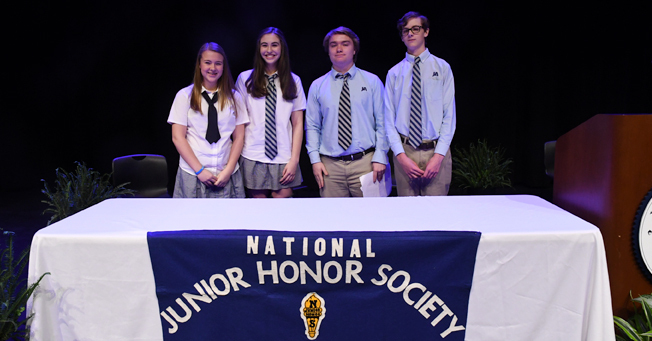 Students serving as officers and helping with the event were Nelson Thomas, Anna Katherine Ray, Kennedy Nations, Douglas Noble, Brent Butler, Nicholas Brown, Lily Grace Thigpen, and Virginia Parry. Click here to view the program from the event.